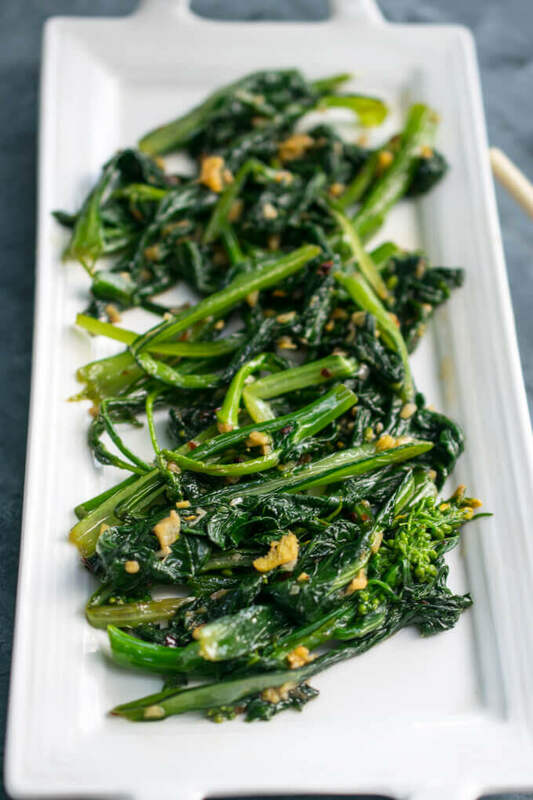 The post Vegetable Spotlight: Stir-Fried Choy Sum (Gunsho) appeared first on Yup, It's Vegan!. Last week’s CSA share was full of leafy green surprises, not least of which was this beautiful choy sum, with its tiny yellow flowers and appearance similar to Chinese broccoli. I’m happy to say that within a week’s time I became a big fan of this veggie. Getting a farmer’s market vegetable share has been great for introducing me to new foods and cooking techniques over the years. I highly encourage it! When I have no idea how to cook an unfamiliar veggie, I usually roast it or stir-fry it. Choy sum was no exception to this rule. With two full bunches, I had the chance to experiment a little bit and I’ve settled on a cooking and seasoning method that I’m happy with. This veggie comes in a few varieties, including a purple version, but I’m confident any of them will work with this simple stir-fry recipe.